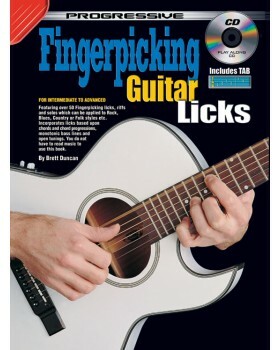 Features over 50 fingerpicking licks, riffs and solos which can be applied to rock, blues, country or folk styles etc. Incorporates licks based upon chords and chord progressions, monotonic bass lines and open tunings. 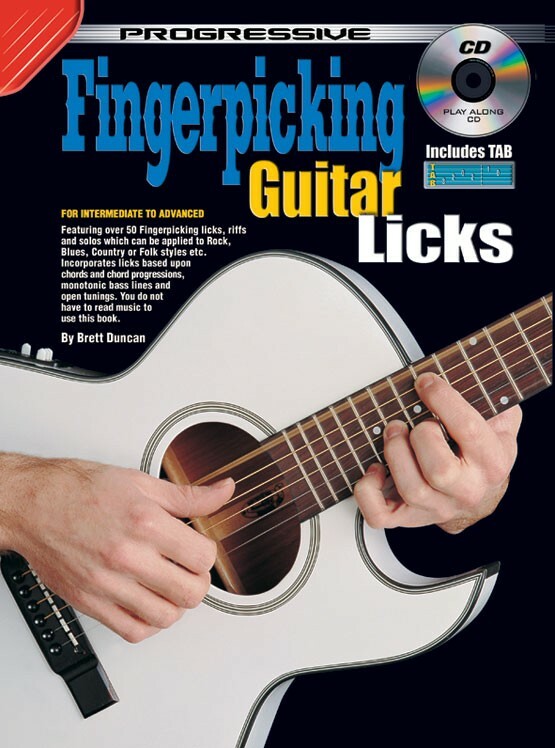 The book is split into four sections which in turn deal with topics such as: licks in the open position chords, styles of the Mississippi Blues men, popular riffs and extended chord lick supplements, and open tunings. I am an intermediate - advanced level fingerpicking guitarist. I bought this book on a whim, not knowing really what to expect. The lessons are well organised and short. Short licks are quicker to learn and much less intimidating than song-at-a-time. If you have a love of blues and/or ragtime then this book is for you. Most of the tunes are geared towards that style of music, though some tunes have a country twang as well (maybe a la alternating bass Chet Atkins style).